Little Miracles · A Fond Farewell to Gilroy Gardens! 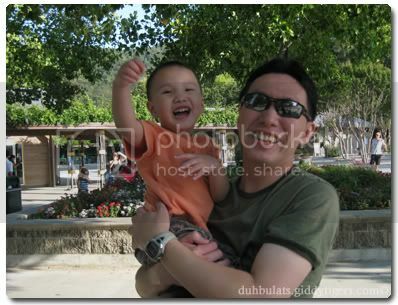 I have no doubt in my mind that Ethan will miss Gilroy Gardens when we get back home to Malaysia. Almost every weekend, when we ask him where he would like to go, he would exclaim, “I wanna go to Gilroy Gardens!” It’s a good thing we decided to get the season pass (Lotsa Card) so we could enjoy unlimited entries into the theme park. 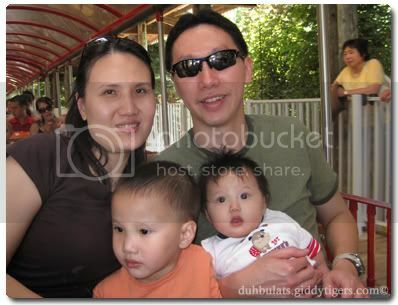 Well, last weekend, we made our final trip to Gilroy Gardens before we head back to Malaysia. As soon as we turned into the theme park, Ethan said, “I see it Mommy! I see the Gilroy Gardens signboard!” Yup, he was THAT excited. He even started dancing to the music before we entered the theme park. Because it was our last visit (for a long time anyway) there, it was as if Ethan could feel it too, and he wanted in on as many rides as possible. 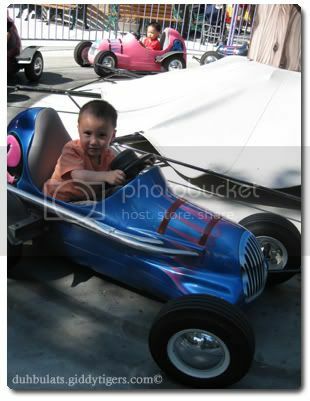 Normally he would bypass the race car ride, but that day, he insisted on getting in. And when we were ready to take the choo-choo train ride, Hannah was awake, so for the first time, our little family got on board the train together. There were only a couple of rides that allowed infants on, and the train ride was one of them. The hot sunny weather was the perfect recipe for a good splashing time in the sun. And that’s exactly what Ethan had. 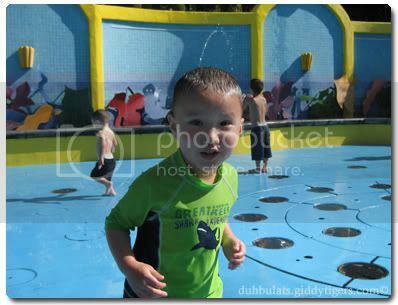 There was this water squirting area where the kids could play in the water, and Ethan had a jolly good time there. It was a fantastic day at Gilroy Gardens, and for what it’s worth, I think I am gonna miss this place too. Goodbye Gilroy Gardens! We hope to come back again next time! So yao yeng in the car ride..
u r coming back to KL already??? Have a safe trip back home….